UNHCR, the UN Refugee Agency, said it was troubled by reports of the use of force against protesting asylum seekers last week in Sikka detention centre in Libya’s capital. “The protests have been driven by frustration and anxiety among asylum-seekers who have been detained in extremely dire conditions for months with no prospects of solutions.” UNHCR said in a statement on Tuesday. Around 50 people were reportedly injured when the police moved in to end the protest. Two individuals were badly injured and transferred to Abu Slim hospital, UNHCR added. 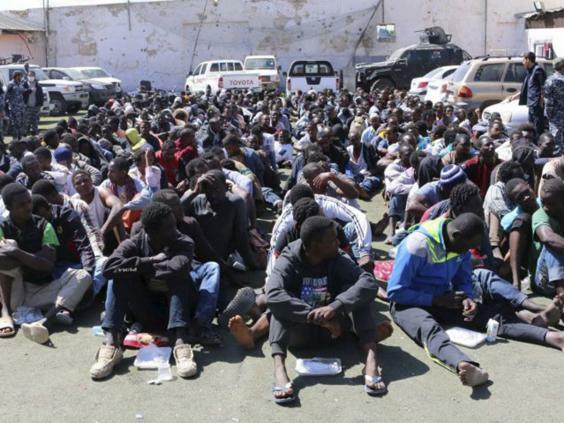 UNHCR also voiced concern about the situation of prolonged detention that many refugees are facing in Libya. “Currently, there are 5,700 refugees and migrants in detention, of whom 4,100 are assessed to be of concern to UNHCR and may have international protection needs.” It said. UNHCR reiterated its calls for an end to detention in Libya and stands ready to support Libyan authorities to find alternatives to detention.